The simplest way to learn anatomy is to observe and dissect specimens. However, most students are not going to have a cadaver or anything of that nature lying around at home (well you’d hope not). As such, somehow the knowledge that usually has been briefly picked up in a practical class has to be reinforced in a sterile environment. What methods can you use to make learning anatomy easier? Follow me into a short overview of some tried and tested techniques. Every technique listed here might not work with you, but I can almost guarantee one will, and you are probably already using it. Observing anatomical structures in three dimensional space as already touched upon, is the best way to learn anatomy. Now while you may not be able to access anatomy laboratories, certain Universities do have Anatomy Museums. In these museums, you can observe whole units (e.g. 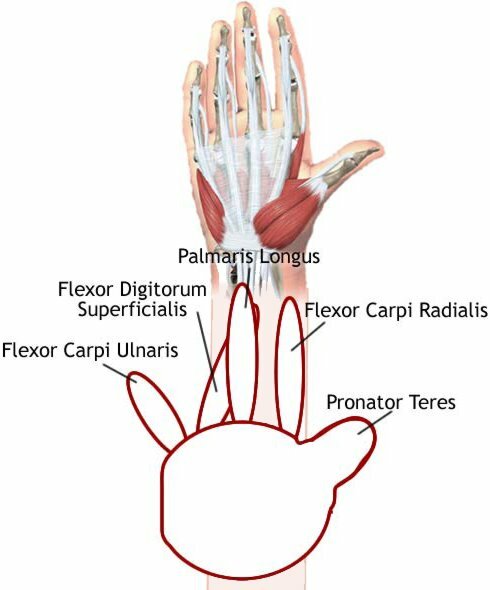 upper limb) and see how small fragments come together to create a fully functional limb or structure. It also provides an idea of their positional relationship within the body. If your university doesn’t have an anatomy museum you have two other main options (technically three, but the 3rd is not as useful). Buy plastic anatomical models (e.g. full sized skeletons through to magnified models of the eye). These are useful substitute, but not exactly cheap. Use an online or PC based program which allows you to twist and morph the body to your liking. This is really only virtual 3D, so it's not an ideal substitute. Finally, the third largely relies upon your athleticism (or that of a willing participant). With another or yourself you can observe surface anatomy and make references to internal anatomy (good examples are the tendons of the forearm, the anatomical ‘snuff box of the hand, and the Biceps Femoris tendon of the lower limb). Obviously, this third option only really helps in understanding superficial muscle and bone anatomy. The figure I drew below tries to emphasise that you can use the Westside hand gesture to remember some of the muscles of the forearm (NB. You do this by placing the hand in which you are making the ‘Westside’ emblem with, over your other hand – palmar side up). Try to come up with your own way of remembering things. Flexor: it flexes the hand. Radialis: It runs down the Radial (lateral) side. While I have a good grip on this myself, I can remember back to when I first started anatomy and there were all these different structures, and their functions that I had to remember. The trick is to learn some basic Latin, and the nomenclature associated with anatomy. Our lecturer in second year, really drove this into us, and if made it apparent that there would be exam questions testing our ability to name muscles, in particular based on their features (i.e. shape, action, origin, insertion & so on). In the long run having an understanding of this makes it easier to develop a name for a structure without prior knowledge (or a lapse in knowledge), that more likely than not, will turn out to be the correct name (now and again you will come across names that just don’t make any sense within the current naming framework). So aside from learning some basic Latin, what else can you do? Mnemonics are another useful learning device and cover broad spectrum of specific techniques. A common mnemonic technique is ‘First Letter Mnemonics’. For the more adventurous you can create your own. We are not all amazing artists, but I would saying drawing is paramount in learning anatomy. Being able to draw the structures and their various components solidifies their spatial relationships, and may help in understanding the holistic function of the tissue. Whether you use a triangle to represent the liver, a square to represent the heart, the important thing is to get a good overview of the structure. Though partly covered in ‘Observe in 3D’, using visual devices are obviously the best way to learn anatomy. So in brief this covers things such as textbooks, online resources, flash cards, phone applications and so on. Finally in combination with words you can develop 1-2 page cheat sheets for a region of interest. This tends to have a two-fold benefit. Firstly, you have to think about how you are going to develop the cheat sheets. Secondly, the cheat sheets tend to be more aimed at getting you through the next exam, which is ultimately where your memory of anatomy counts (for now at least). An example cheat sheet I did in second year is provided here. On the internet you have a number of options available to you, from free to paid services. Two I'll reccommend are; Zygote Body (previously GoogleBody) & BioDigital Human. Above is a list of techniques that I reckon will help people in learning anatomy. By no means is it a comprehensive list, but I hope it will at least act as a stimulus for trying some different learning methods, as opposed to staring at an anatomy atlas for hours. In saying that, stick with what works for you, if exams are looming.